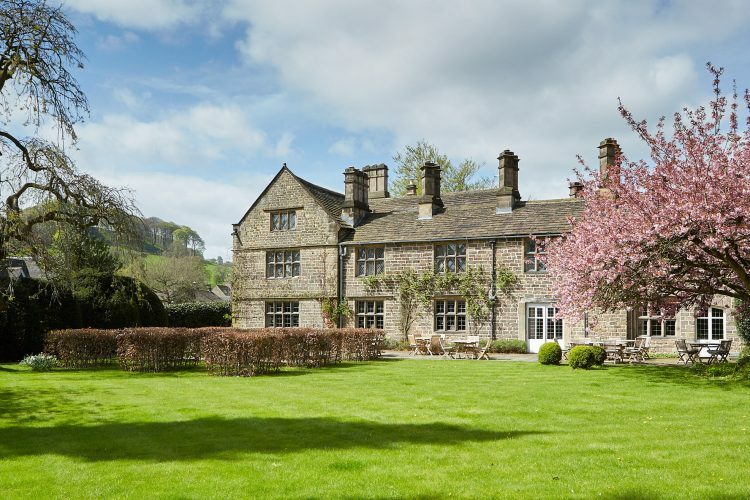 Discover quintessential England, its rolling patchwork countryside, historic houses and gardens. A journey through the heart of middle England begins in the city of Cambridge. Admire the beautiful architecture and majestic college buildings of its prestigious University. Enjoy the buzz at nearby Newmarket, the home of horseracing. Travel through misty Fenlands to the smallest county of Rutland. Here you will find Burghley House one of England’s greatest Elizabethan homes. Rest within the first established National Park of the UK, the Peak District, with rolling hills and steep limestone valleys. Meander into quaint market towns itching to be explored, and cosy up in traditional country pubs. Head south through the delightful honey-hued limestone villages of the Cotswolds, dating back to the middle ages. 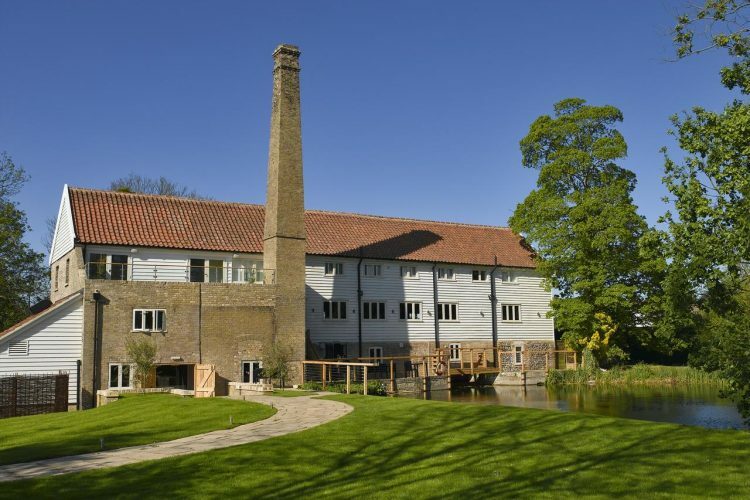 Complete your journey in the charming Chilterns, exploring Buckinghamshire and the Thames river valley filled with historic interest and intrigue. Walk through the glorious university city of Cambridge and its labyrinthine of cobbled parades and squares like many prime ministers, poets, writers and scientists have done throughout modern history. Marvel at the intricate architecture of world-renowned colleges including Kings College and Chapel. Be captivated by an Evensong service as the voices of the choir rise to the rafters of the vaulted ceiling. Enjoy the Cambridge Museum before taking a stroll along the Backs, picturesque parklands behind the university - a perfect spot for a picnic lunch. Take a punt along the river Cam, where you may even be pushed along by a student of the city. Travel onto the Suffolk town of Newmarket, the home and birthplace of horseracing the ‘sport of kings’, some 350 years ago. You might even catch a Race Day which would be truly special. Travel north through the ancient towns of Ely, Downham Market and onto the ancient sea port of Kings Lynn, a gateway to the mysterious and magical Fens. Lynn remains the most beautiful town in Norfolk and boasts three fine medieval Gothic churches. This north Norfolk coastline is one of the UK’s most cherished and tranquil landscapes which defines the regions sense of place. So much so that Her Majesty the Queen has a retreat here at Sandringham House. Explore the estate and visit the private home of monarchs since 1862. Relax in England’s smallest and arguably prettiest county of Rutland, discover traditional country pubs, quaint villages and the shores of Rutland Water. Take time to visit one of England’s greatest Elizabethan homes, Burghley House, with breath taking state rooms and Tudor kitchen, along with it’s extensive deer park and gardens largely designed by ‘Capability’ Brown in the 18th century. The Peak District is one of Britain’s most ancient landscapes. This vast expanse of hills, forests and patchwork fields are crisscrossed by stonewalls and rivers, and dotted with great lakes and reservoirs. Wander the rivers edge crossing stepping stones at Dovedale and visit the picturesque market towns of Bakewell and Ashbourne. Hike to the summit of Mam Tor for panoramic views across the rugged terrain. Meander through Winnats Pass, a dramatic limestone valley created by melting glaciers. Climb to imposing ruins of Peveril castle, a 12th century Norman fortress and enjoy breath-taking views over Hope Valley and the pretty village of Castleton. 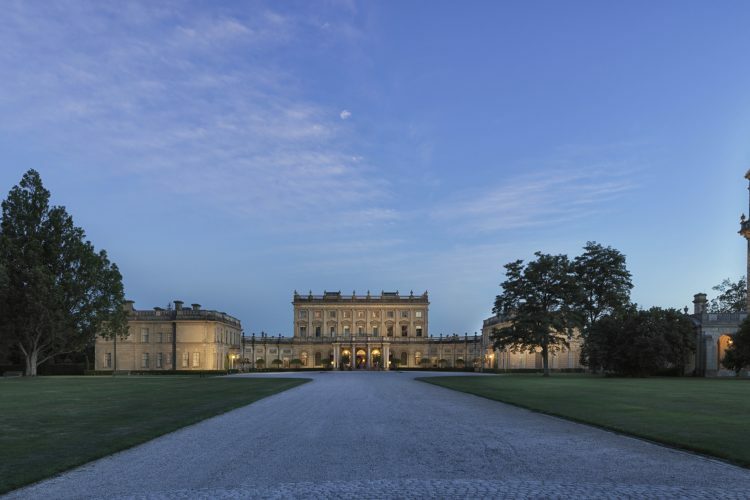 Explore the magnificent Chatsworth House and its gardens, the seat of the Duke and Duchess of Devonshire. Its 30 rooms are home to one of Europe's most significant art collections, encompassing Old Masters to contemporary ceramics. Be taken back in time in the rolling hills of the Cotswolds dotted with ancient honey-hued limestone villages and market towns that date back to the middle ages. Scale a unique Capability Brown folly, Broadway Tower perched on the Cotswold escarpment with unrivalled views. Explore the Cotswold Way and its delightful scenery to stumble across historic thatched inns that offer the best of local hospitality washed down with the finest English ales. 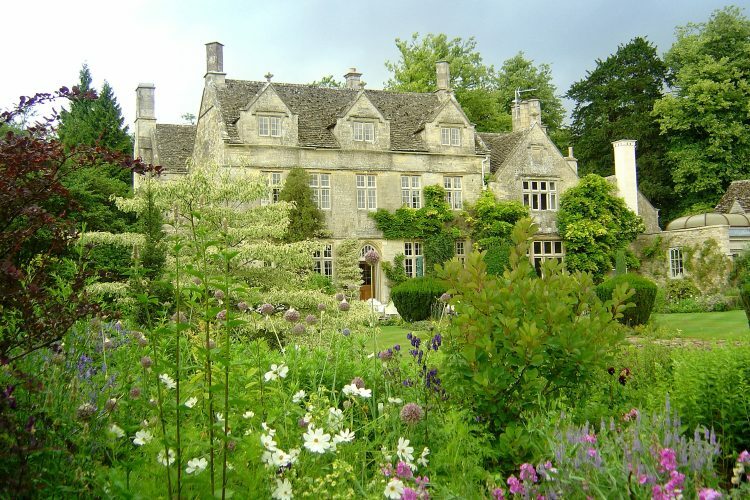 Visit some of England’s finest gardens like Snowshill Manor and Hidcote. For a real treat, why not take a hot-air balloon and glide serenely over this most perfect of West Country landscapes. Experiencing Olde England at Stratford-upon-Avon, the birthplace of William Shakespeare. Embrace the great bard with the help of the Royal Shakespeare Company with the finest actors working in some of the best theatre spaces in the world. 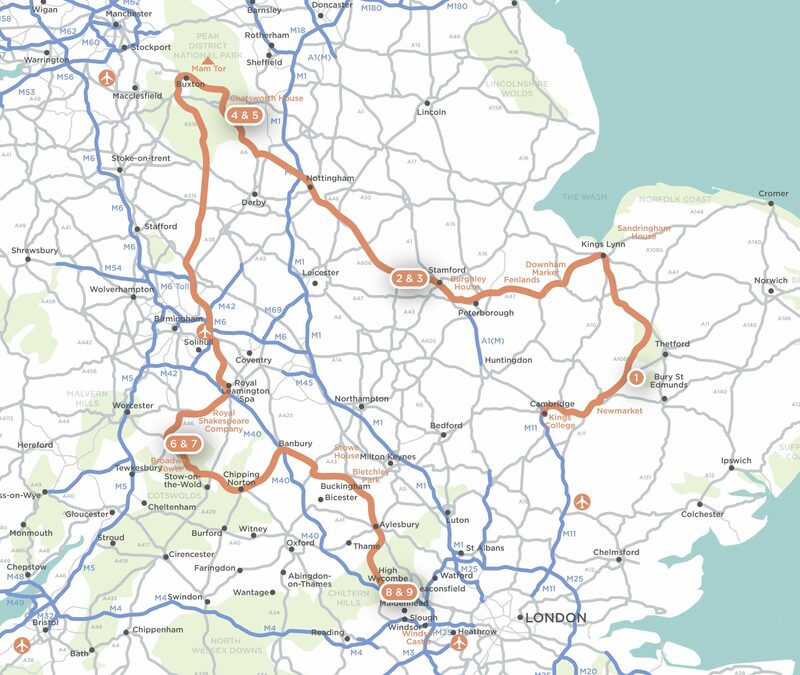 Follow a much-loved journey from the Cotswolds into Oxfordshire and onto the rolling hills of Buckinghamshire. Stumble across quintessentially English villages like Hambledon and Turville with thatch, brick and flint cottages that skirt pretty squares and medieval churches. Great Missenden in the glorious Chilterns is an attractive village of charm and character, it was home to Roald Dahl, providing the backdrop for Matilda and the Fantastic Mr Fox. 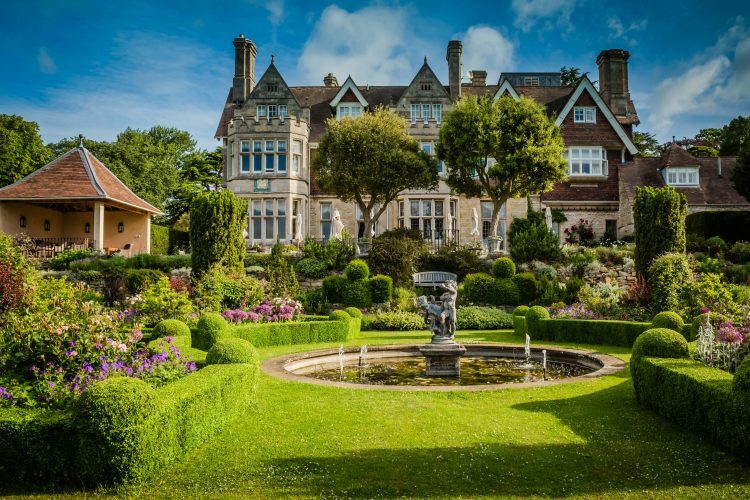 Discover historic Cliveden, famous for the Profumo affair, Stowe House and its sensational gardens and the historically significant Bletchley Park, the secret base for British codebreakers. The Thames, The Great Ouse and the Grand Union Canal run through this county offering some of the best waterside walks anywhere in England. The stretch between Henley and Marlow is simply delightful. Explore the most royal Windsor Castle, the oldest and largest occupied castle in the world which overlooks the twin riverside towns of Windsor itself, and Eton.